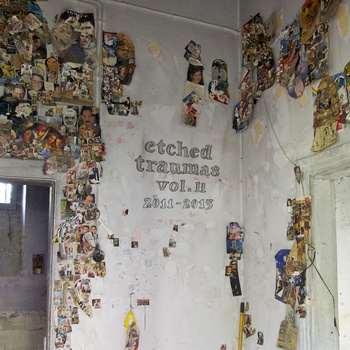 Second part of 99th Special release for Etched Traumas. 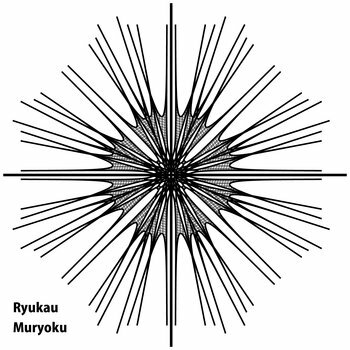 Muryoku is aimed to put sounds like natural ambient noise. Sound texture is influenced by Jon Hassell’s work. A listener from an outer reality approaches the modern metropolis and perceives a version of the contemporary urban sound. Noises, words, roars, whispers and melodies merge together to construct the semi-logical language of a bio-mechanical, hyper-organism. This language is the mental space in which new narrations may emerge and old cultural symbols can lead to new unpredictable meanings. Further on, in this urban, ”post-modern” space the listener may listen to a strange ”song”. The inner voice of the city. The dual role of voice as both a sonorous ”object” and a facilitator of meaning, narration and verbal communication is crucial for our understanding of sound and music. 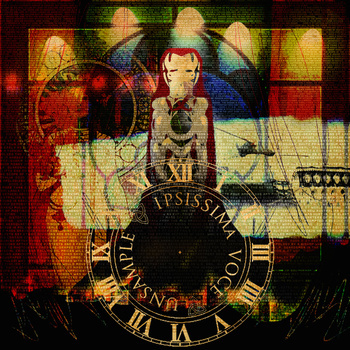 Ipsissima voce plays with the exchange of roles between voice, music and narration. While the electronic and pre-recorded sounds overwhelm the narrative and musical part, the voice is reduced to either short musical signals or distant reminiscence of ancient languages and generic vocal gestures so that the end result becomes a kind of abstract, electronic ”opera”. Something like a deafening noise arose from inside their deepness and leave them out of breath. A primal fire burned out all their shelters. They were by themselves those who got inspired to descend up to the boundaries of their animality, without knowing it. And so on the grey angels trapped inside the oblivion woke up, one by one. 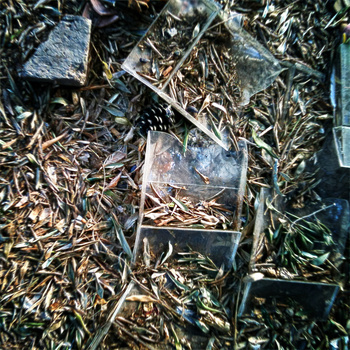 Options were simple, to fall even deeper or to take flight with them to become white again. Fernando Laub (aka flaub) is a composer and visual artist mainly orientated to avant-garde, experimental and electroacoustic music. With the aim of compiling sonic substance and creating new devices from old industrial machines and recycled scrap, he spent several years living into an abandoned factory reconditioned as a sound laboratory. Besides those post-industrial quests he use to travel around the world documenting sonic and visual material. Combining all that stuff with the research of new synthesis methods his music not only describes pictures, it will transport you to a sort of surreal and Sci-Fi scenarios, images that are quite difficult to define. Happy New Year! This is our first release for 2015. We welcome Dædal Sphallðlalia to Etched Traumas. ‘Chaosofia’ is about chaotic considerations about vacuum and darkness. Five minutes of deep, harsh noise; we couldn’t have a better new year start. 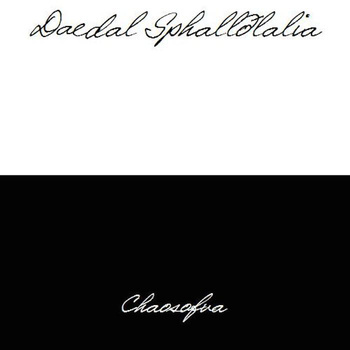 Dædal Sphallðlalia was created by Z_n in Rome, Italy few years ago. The project is about noise/harsh noise and dark ambient/drone productions. The purpose of the act is to express his inner self. 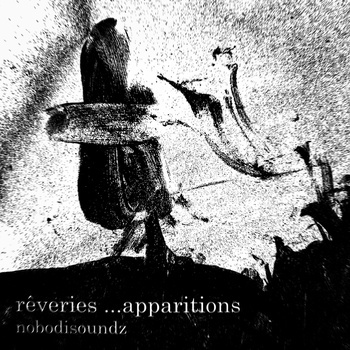 This is the fourth release of nobodisoundz for Etched Traumas. A 12 track masterpiece album exploring the sounds of french duo Other Matter. Etched Traumas welcomes REISEBÜRO86 the solo project of Hungarian artist Normal Gergely. ‘A Hereditary Monarchy’ is made of a classic piano music with distorted microphone. Complex and multi-level qualities contrast the grand piano melodies. The six movements of this album merge a decadent interwar feeling with an electrified dystopian ambiance. “…reminds me of the world wars and the hereditary socialization problems of people. Like an innocent person in a war. Like a child who does not understand the world and his parents. It means for me that an end of a classic closed community, the healthy thoughts fighting with the narrow minded scene or a hopeless and neverending sadness.” argues Gergely. 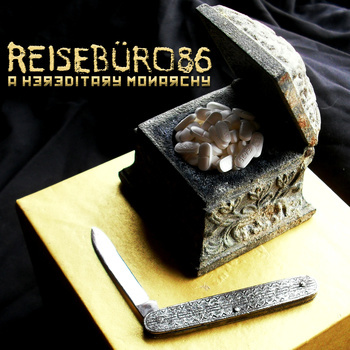 The Reisebüro86 is a deep, sensitive and personal approach of the noise-soundart. Always experimental and totally dark sounds with guitar, effects, flute, keyboard, looper, microphone and small metal strings and springs and other special objects. Normal’s Improvised free musics fill out his strange and weird visual world.